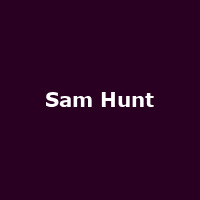 "At first glance Sam Hunt might seem like a typical young country singer. He grew up in a small Southern town, spent school days concentrating on sports but also feeling an attachment to music growing deeper. Then he came to Nashville with little idea of how the music business worked but with big dreams. Look closer and you'll see there is nothing typical about the music that Hunt makes, nor the way he has introduced his work to the world. In a short time and on his own terms he has become one of Nashville's most hotly anticipated new artists and his debut album, 2014's "Montevallo", delivers on the buzz and the promise�"and then some."